Steve has performed in 50 States! Come on out and walk to help support finding a cure for arthritis. Steve will be providing musical entertainment at the event. More details to come! 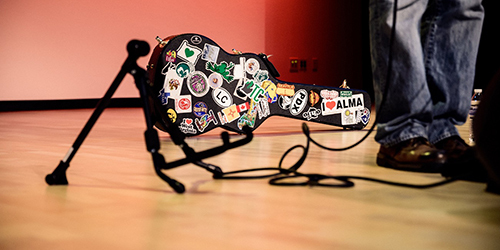 Touring the country as a solo music performer takes some hard work, some dedication... and a whole lot of help from other people. It's only possible through the kindness of those who let you crash on their couch, offer you rides, feed you dinner, help you promote, offer words of encouragement, and most of all, come to the shows! 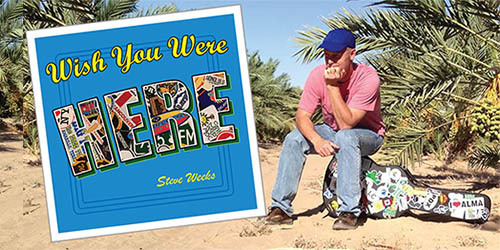 After years of travelling around the United States and Canada performing music for kids and their families, Steve Weeks is saying "Thank You" in the form of his latest release "Wish You Were here". The CD, which physically looks and feels like a vintage postcard sent from the road to his fans, is clearly intended to offer gratitude to everyone who has helped him along the way. 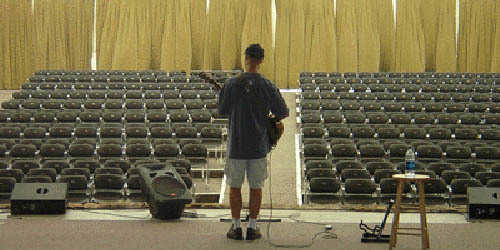 "Being a touring musician, I get to meet a lot of wonderful folks. ", Weeks says, "Sometimes I wish I could just take everyone along with me on a giant road trip." The title track expresses just this feeling. 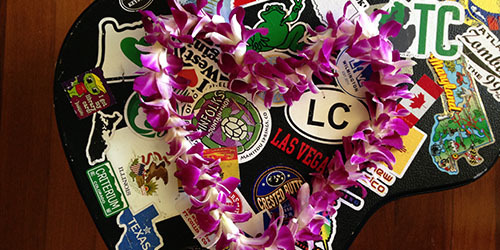 Intended to commemorate Steve's achievement of performing in all 50 United States, it describes his adventures in each state and assures the listener that no matter where he goes, he wishes they were along for the ride. 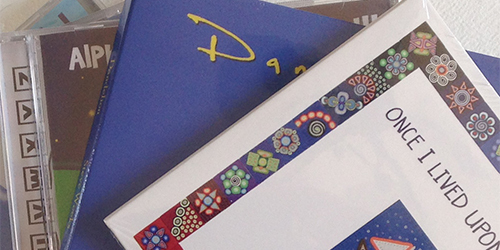 Those familiar with the kindie (independent kid's music) scene will recognize many of the songs in this collection. Six of them have been hits on Sirius XM satellite radio channel 116 (Kids Place Live) including "Change of Heart" which reached the #1 spot. The album also includes 5 brand new tunes. 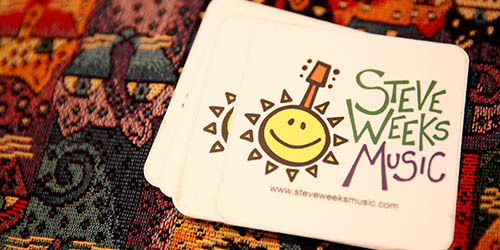 Throughout all of the songs, fans will find the clever wordplay and whimsy that have become signatures of Steve's music. "Tiny House" weaves a lovably absurd story of downsizing, and "Monday I Woke Up Purple" tells of a protagonist who wakes up completely different every morning. "Run-On" is literally a single run-on sentence, and "Backwards Song The" is, well... backwards. As always with Steve's music, you'll also hear catchy melodies and warm instrumentation. 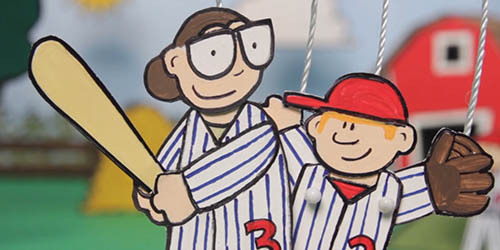 "A Raindrop for Me" is an endearing tale of thankfulness that starts with a single drop of rain, and the infectious "Baby Started Dancing" will have you up on your feet just like characters in the song. 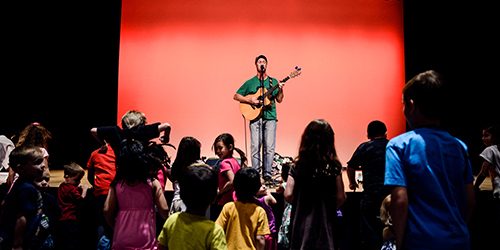 Steve has already made his mark on the national music scene with 5 critically acclaimed CDs, multiple #1 hits, and a first-place award in the USA Songwriting Competition children's music category. "Wish You Were Here" is a welcome addition to this musical legacy.